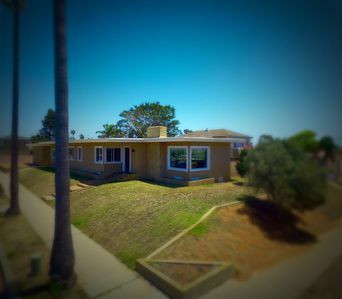 Nestled on one of the highest peaks in Point Loma Heights, overlooking Sunset Cliffs, this lovely 4 bedroom, 2 bath, fully furnished home will satisfy your every beach vacation requirement. 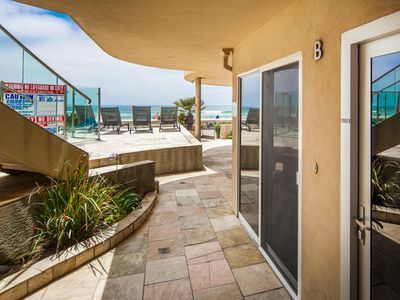 With sweeping views of the ocean, from almost every room, this newly upgraded home, offers luxurious beach lifestyle with shopping, entertainment, dining and of course, the beach, just minutes walking distance away. Ocean Beach is a walker and runners paradise with so much to see. 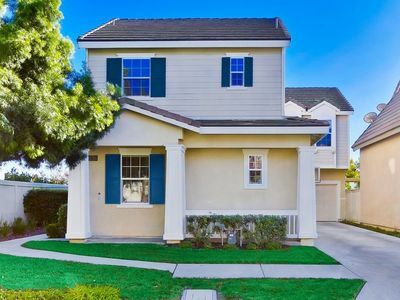 This home is conveniently located to all freeways and just a few blocks from the hustle, both sides of the point has to offer. The Ocean Beach Pier is great fishing hole or fantastic spot for breakfast or lunch. If you're at the pier, you’re close to the world famous Hodad's. 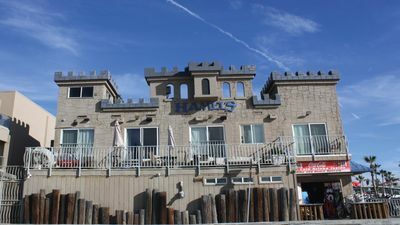 Hodad’s is a beach favorite and in Ocean Beach, it has monument status on Newport Ave. The walk or jog to the tide pools at Sunset Cliffs is a bustling natural beauty. It's one of the San Diego Chamber of Commerce signature locations that San Diego is always identified by. Sunset Cliffs is truly named after its amazing sunsets. Don't forget your camera because this one of the majestic locations you'll ever visit for capturing pictures of the Pacific Ocean. 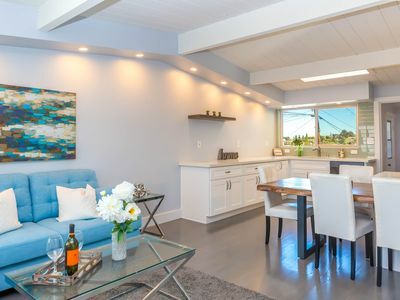 The home was completely remodeled from top-to-bottom this year so it offers the best of the old generation charm with all the modern amenities. 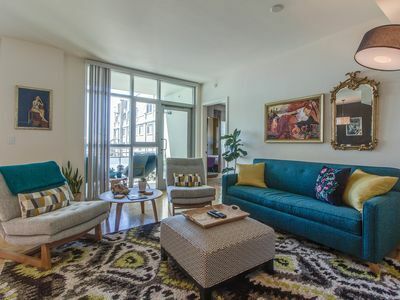 Upon entering the home, you will be charmed by the open flow of the home and airy living room, dining and kitchen area that all come together so beautifully. 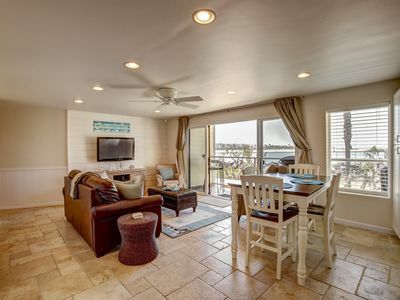 The living room offers spectacular ocean views of sail boats, cruise ships, and during the season you’ll be able to see whales making their annual migration. 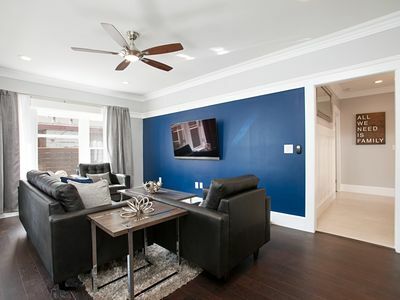 The living room flows into the dining room, breakfast bar and kitchen. The new kitchen has beach style white cabinets with Volga Blue granite. Upgraded, high end Thermador stove and GE microwave and convection oven make this kitchen a home away from home for a fun family meal. 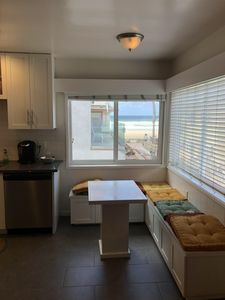 The kitchen offers a dishwasher as well, with all of the other kitchen small appliance like a toaster, coffee maker, pots, pans and more. Enjoy a quiet dinner by while watching the sunset. 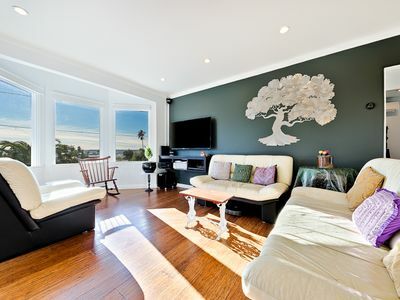 The home has the old world charm of homes built in California in its era with beautiful hardwood flooring. With the exception of the kitchen, bathrooms and utility room the hardwoods have been restored and make this home sparkle with charm. The laundry room has a washer and dryer. 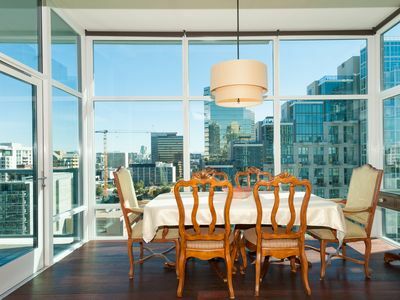 The beautiful French doors and floor-to-ceiling windows on both sides of those doors in the living room provide an open and bright atmosphere to the dining area. These doors open and flow perfectly onto the rear includes two bedrooms and one full bath. These bedrooms look out onto the ocean. The front bathroom includes a vanity for those who enjoy time set aside to prepare for a night out on the town. 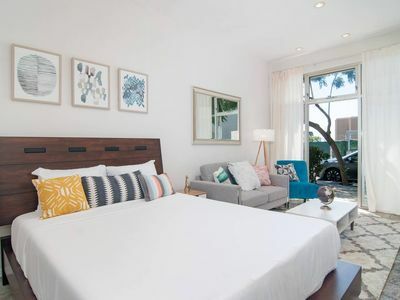 The master bedroom captures spectacular ocean views and from the huge, king sized bed you can daydream looking at the Pacific Ocean or watch a movie on the flat screen. The rear of the home has a nice separation from the front of the house adding privacy. 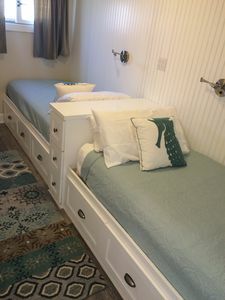 It has two bedrooms and a beautiful remodeled bath with spa like shower with huge shower head for those that enjoy the full effect of those moments of their day. 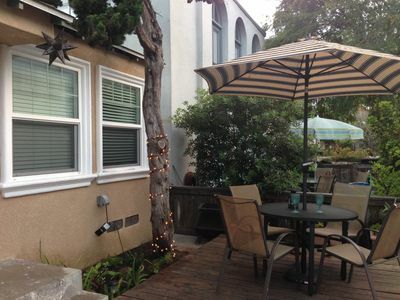 One bedroom enjoys ocean views and the other gazes out at the Fichus tree and the back yard. The backyard offers complete privacy. 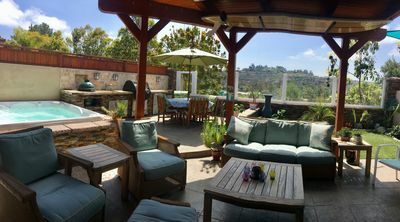 This home is a must stay, centrally located, you will not be disappointed in the beach lifestyle this home will provide. 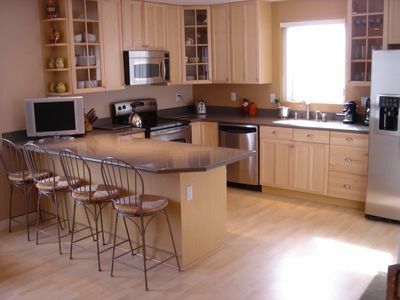 Large comfy family home that will make your vacation at the beach memorable! Air Conditioned 3 br & 2 full baths. Bright & fun home with lovely private yard! 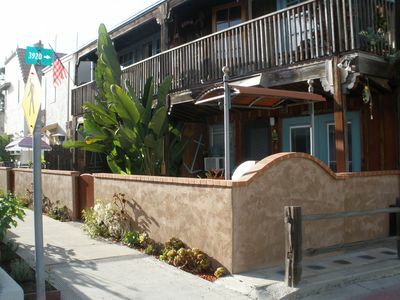 Adorable Beachy Cottage in the heart of Mission Beach! Close To EVERYTHING! 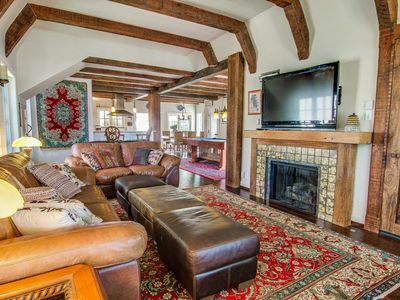 Ocean Front Gem - "Sandy Beaches"
Gorgeous Carmel Valley Beach/Racetrack Vacation Gem! 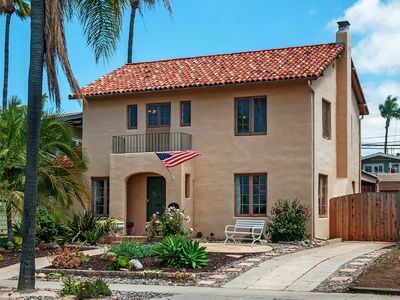 Elegant Family Friendly Home, located just 16 miles from the Beach! 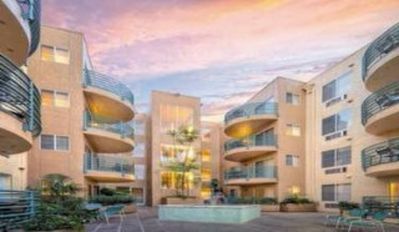 Modern condo w/ a full kitchen & a furnished balcony - close to Balboa Park! 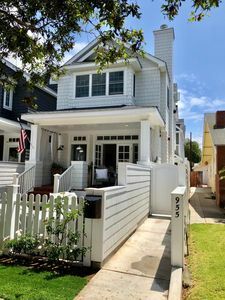 Five bedroom, brand new remodel between beach and bay!